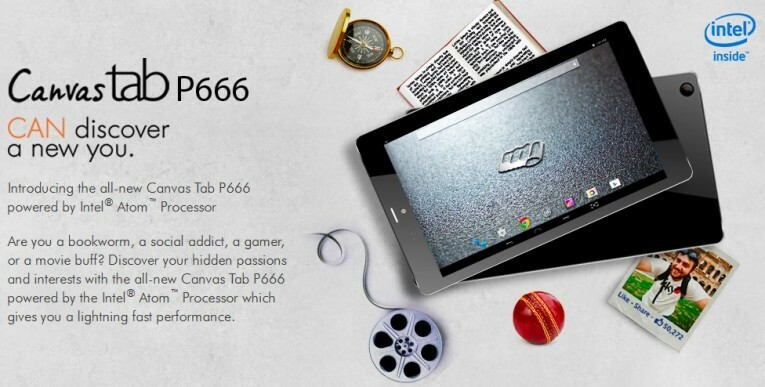 Micromax unveiled its tablet called Canvas Tab P666 in partnership with Intel. The tablet will be available from 29th November through online and online retail stores with the price tag of Rs.10, 999. Micromax Canvas Tab P666 is the first Intel chipset powered device from Micromax, which preferred Mediatek’s SoC for their devices. The tablet packs a 1.2 GHz dual-core Intel Atom Z2520 processor, (4 threads, 1MB Cache) along with 1GB of RAM. It runs on Android 4.4.2 KitKat out-of-the-box. Talking about the display, it sports an 8-inch IPS display with WXGA (1200X800 pixels) resolution. It provides 8 GB of internal space which can be further expanded up to 32 GB via microSD card. 5 mega-pixel rear autofocus camera, which claim to record full HD 1080p videos. Also, it has a 2 mega-pixel front camera. Connectivity options include 3G support via Single SIM, GPRS/EDGE, GPS/A-GPS, Wi-Fi, Bluetooth and Micro-USB. It is backed up by a powerful 4400mAh battery that is promised to deliver up to 325 hours of stand-by time. The tablet comes with a bunch of exciting pre-installed apps- M! Games, M! live, Bookmyshow, Hike, Swift Key, Dr. Safety and Opera Mini Browser. 8-inch IPS WXGA (1200X800 pixels) display. 1.2GHz dual core Intel Atom Z2520 processor. 1 GB RAM, 8 GB internal storage, expandable up to 32 GB via microSD card. 3G, GPRS/EDGE, Bluetooth, Wi-Fi, GPS/A-GPS ans Micro-USB. 5 mega-pixel rear auto-focus camera and 2 mega-pixel front camera. “Our collaboration with Intel will be instrumental in our vision of creating a range of new mobile devices to meet the needs of both evolved as well as first-time users. 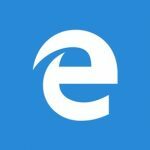 We have been witnessing an increasing demand for high-quality tablets that offers a seamless experience and more efficient data consumption on the move. The Canvas Tab P666 is designed to address such needs by offering a dynamic range of device capabilities powered by the Intel Atom processor that delivers a great performance,” said Vineet Taneja, Chief Executive Officer, Micromax. 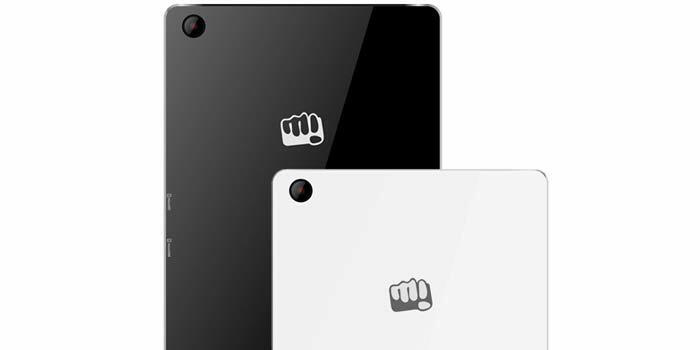 Coming with a “Glass finish and metal edges”, Micromax Canvas Tab P666 tablet will be available in black and white variants.